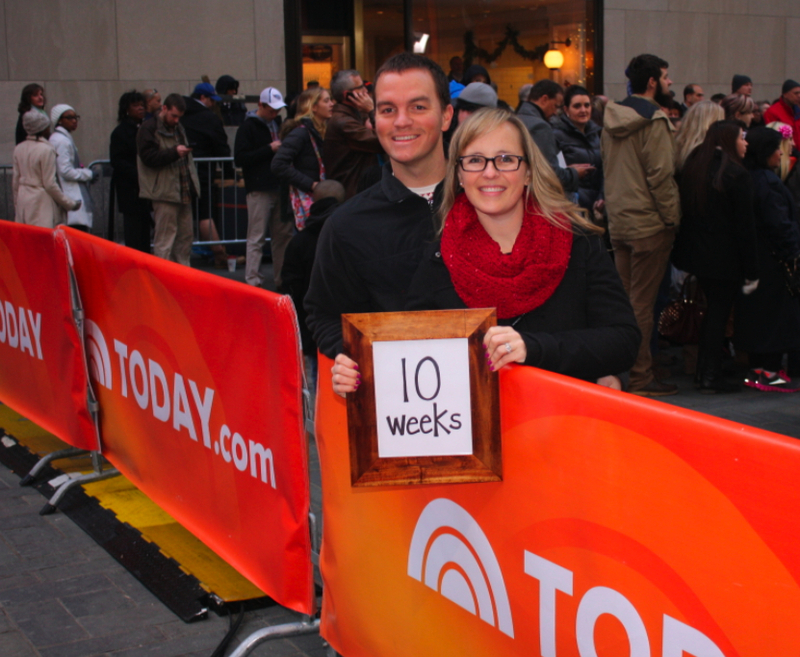 This week our baby made its TV debut on the Today Show! Well, at least baby’s parents did. 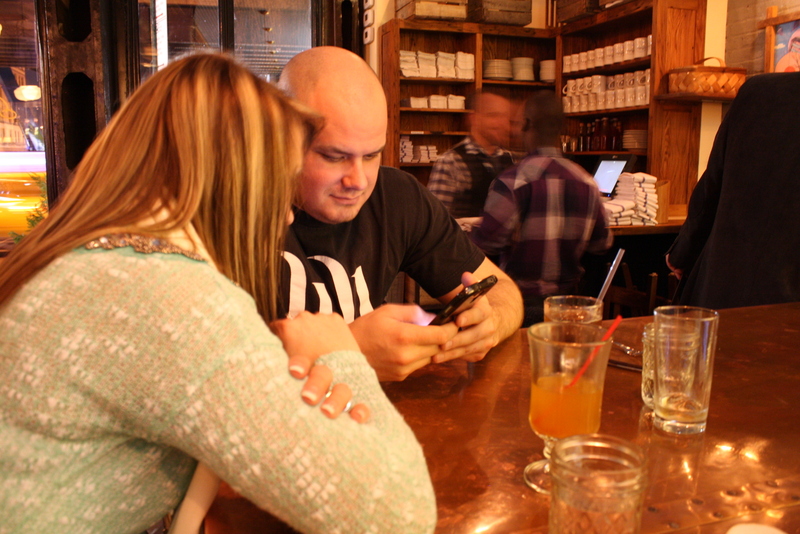 Blake and I headed up to NYC for the weekend and did just about everything we possibly could have in a few days time. 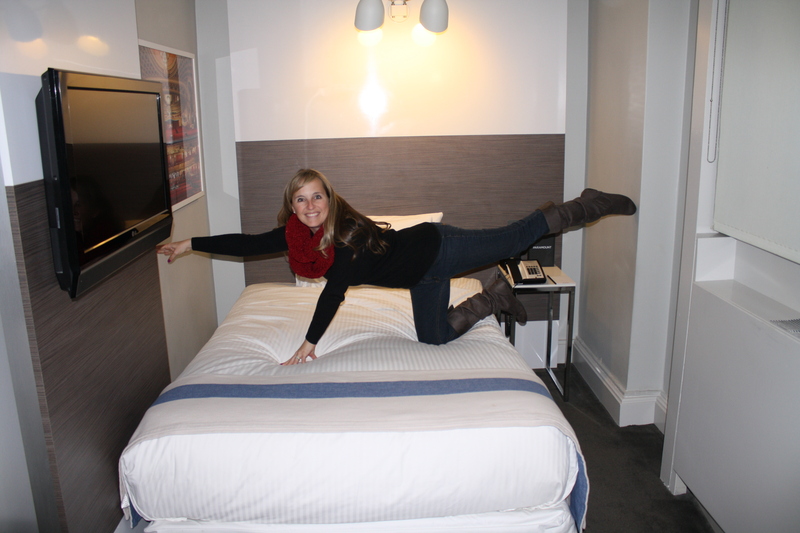 Our first day there, we checked into our hotel at Times Square… The Paramount. It was a gorgeous hotel less than half a block from Times Square and the rooms were great, even if a little small. 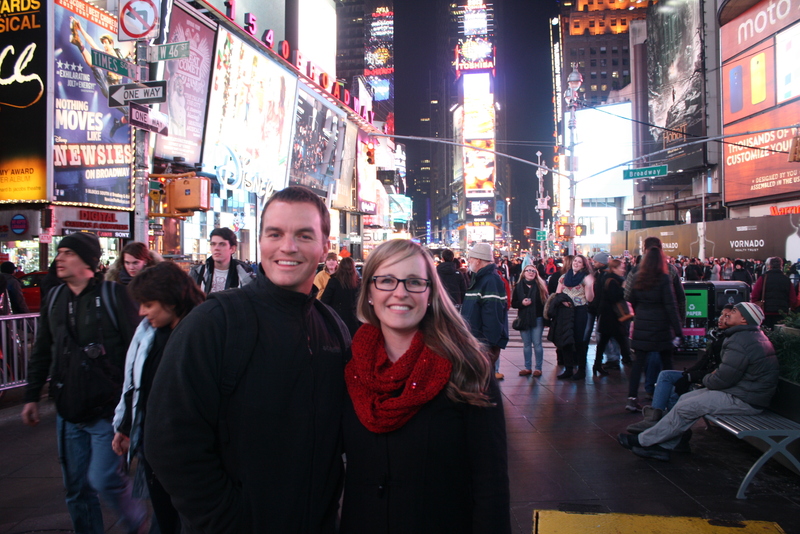 We spent the afternoon walking around Times Square and did some shopping at the M&M’s store, Hershey’s store, and all other chocolate-related store (preggers). We took the subway downtown to a new place called Bubby’s where one of Blake’s fraternity brothers bartends. They were officially closed for a private party but we stayed for over an hour at the bar hanging out while I drank homemade root beer and Blake enjoyed a homemade Jim and Sprite made with lemons, limes, syrup, and a real soda fountain. 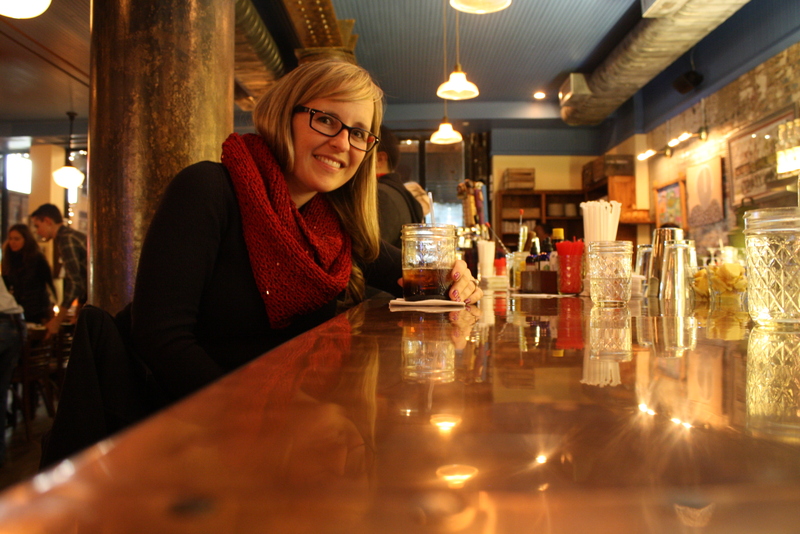 Oh, and they serve all their drinks in mason jars… it’s awesome. We had to vacate when the party started so we ate burgers (with a gluten-free bun! woohoo!) at a nearby place before heading back uptown to enjoy the lights of Times Square before heading back to the hotel for the night. Saturday morning I was really hoping Blake would sleep through the alarm but to my dismay he hit snooze a few times and yanked me out of bed. We put some warm clothes on and walked over to Rockafeller Center where they were getting ready to shoot the Today Show. Most people had grouped up where the hosts shoot at the end of the show so we went over to a relatively empty space which turned out to be the spot where they pan out/in at commercial breaks they shot our group probably 5 or 6 times! It was totally worth getting up so early… thanks Blake. 🙂 After our television debut, we walked through Rockafeller Center then went on a tour of Ground Zero. 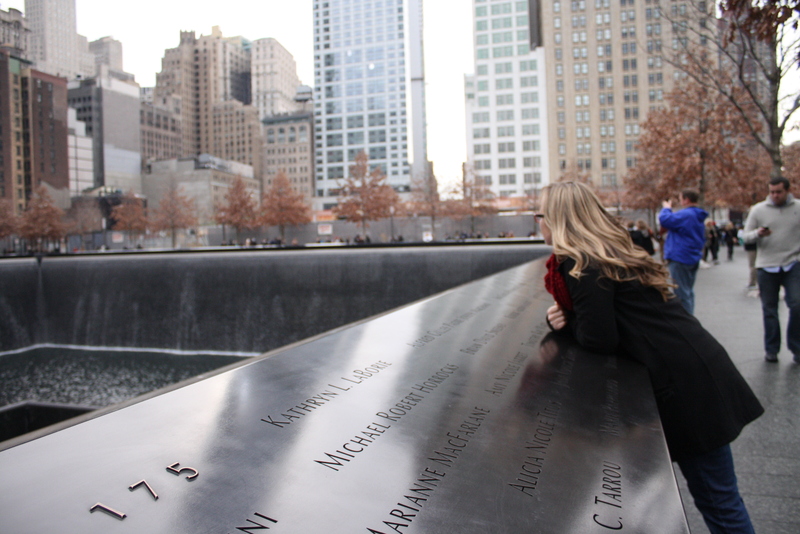 We chose to go through the Tribute Center, which gives tours led by survivors of Ground Zero. Our tour guide was a former firefighter who was off-duty on 9-11 but did get to the towers that morning and was involved in the recovery efforts for months afterward. It was a pretty amazing experience to hear that perspective. We also visited St. Paul’s Church which was the original place of refuge for construction workers, firefighters, police officers, and volunteers involved in the recovery efforts after 9-11. They recently replaced the church pews with chairs but have on display a few of the old pews which were scratched and dented from police officers and other workers gear while they were sleeping in the pews. Blake also left a Chesapeake Fire Dept. 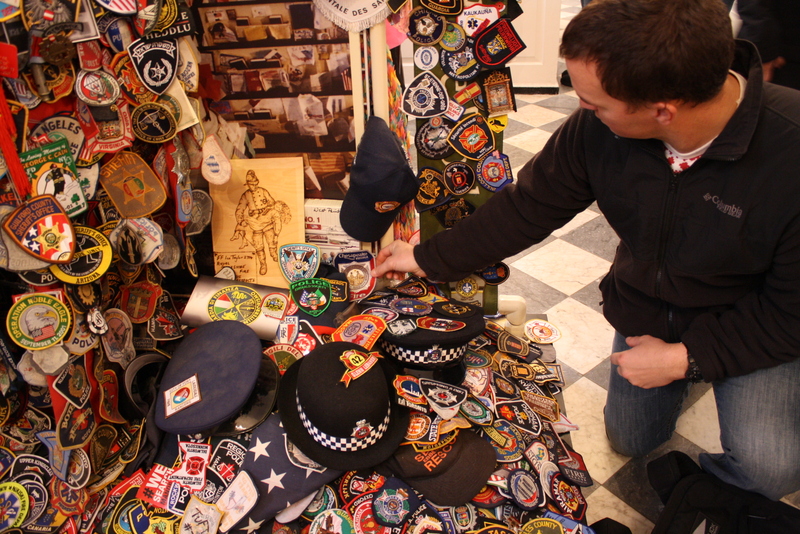 patch on the exhibit dedicated to firefighters and police officers, as the church encourages others to add patches whenever they visit. That afternoon we spent hours walking through the city from Ground Zero through Little Italy and Chinatown, searching for that perfect knock-off purse for my mom and constantly being sketched out by all the fresh meats sitting out in the open and the strange foods for sale in the markets. Super weird. 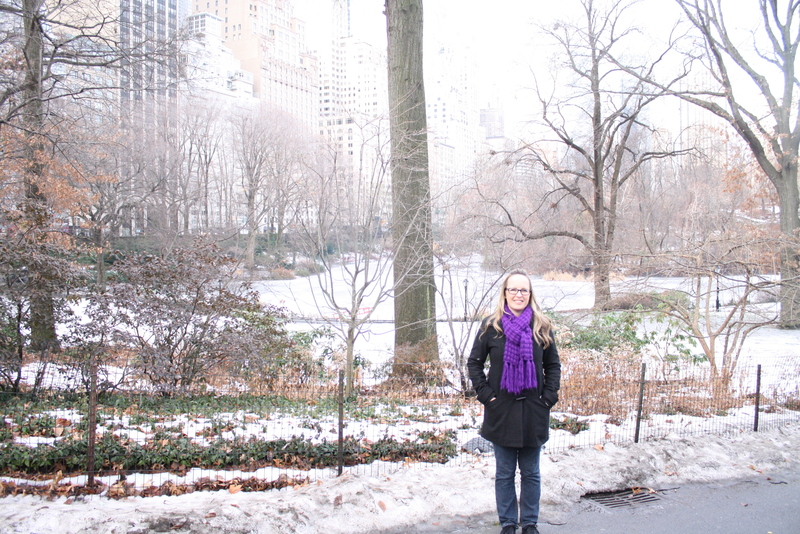 The next morning we walk through Central Park, FAO Schwartz, Toys R Us, Trump Tower, Macy’s, and the Empire State Building. 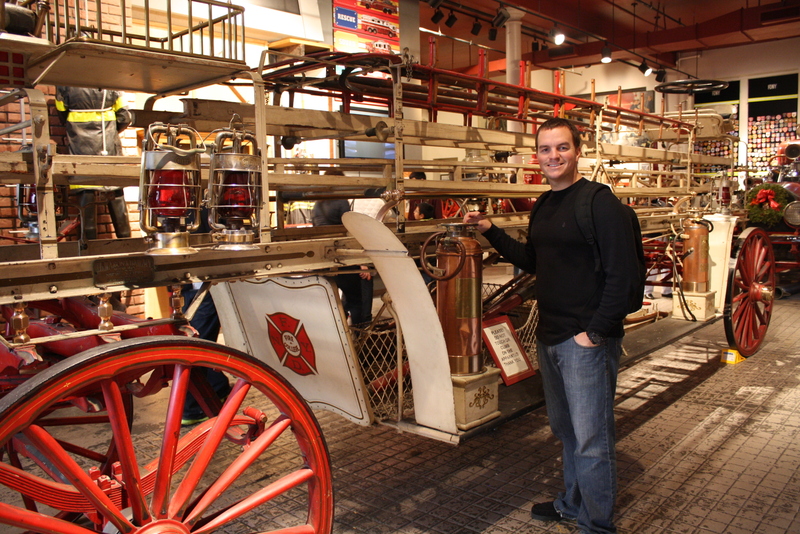 We also toured the Fire Museum, which was really cool and showcased all kinds of vintage fire engines, helmets, and gear from centuries ago. We strolled through Bryant Park to see the ice skating and holiday markets but it was entirely too cold and we were way too tired to hang in for the long haul to actually skate or even stick around long enough to buy anything. But that wasn’t the end of our night… we also had to eat dinner which meant we were back to Bubby’s. I know, with 200 million restaurants in a 4 block radius you’d think we would’ve at least tried something new but when you know you like something, just go again! The end of our night was spent on Broadway!!! Yes, all my little girl dreams came true: I got to sing in a Broadway theater! Well, maybe I was just singing along with the hundreds of other people in the room but in my opinion that still counts. 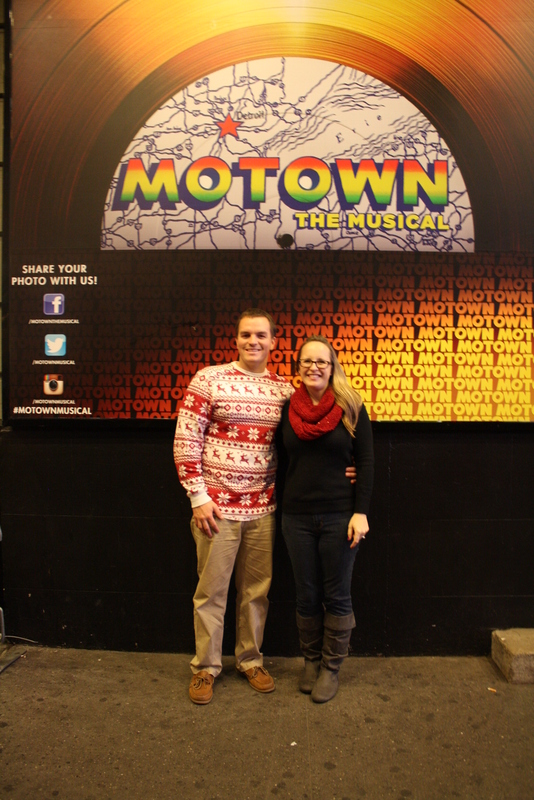 We saw Motown, which is now one of my top 3 favorite musicals of all time. It can’t beat out Wicked or Ragtime but it comes pretty darn close. I hope you enjoyed this abundance of photos because my weekly blogs will be no where NEAR this long in the future. Writing this post made me realize why I stopped blogging in the first place… it takes forever! Yeah Hayley… He doesn’t mess around. We have an ABUNDANCE of Christmas gear and he wore it to Broadway!!! Looks like a fun trip, and I know how you vacation, but you really covered a lot of ground.